What happened to Search & Rescue volunteer Wes Dulany? That's the question on everyone's mind this fall in the small town of Christmas River, Oregon. 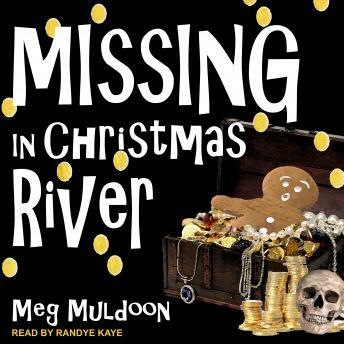 And it's especially on the mind of pie baker extraordinaire Cinnamon Peters, who returns home after spending the summer working in Portland to find that one of the town's most beloved citizens has gone missing while looking for legendary treasure in the Christmas River National Forest. But when Cinnamon and her husband Sheriff Daniel Brightman come across a small piece of the legendary treasure in town, and become a target of violence shortly after, it's clear that Wes Dulany's disappearance isn't nearly as cut and dry as it seems. Because a dangerous game is afoot in Christmas River this autumn-and the stakes are higher than anybody ever imagined.